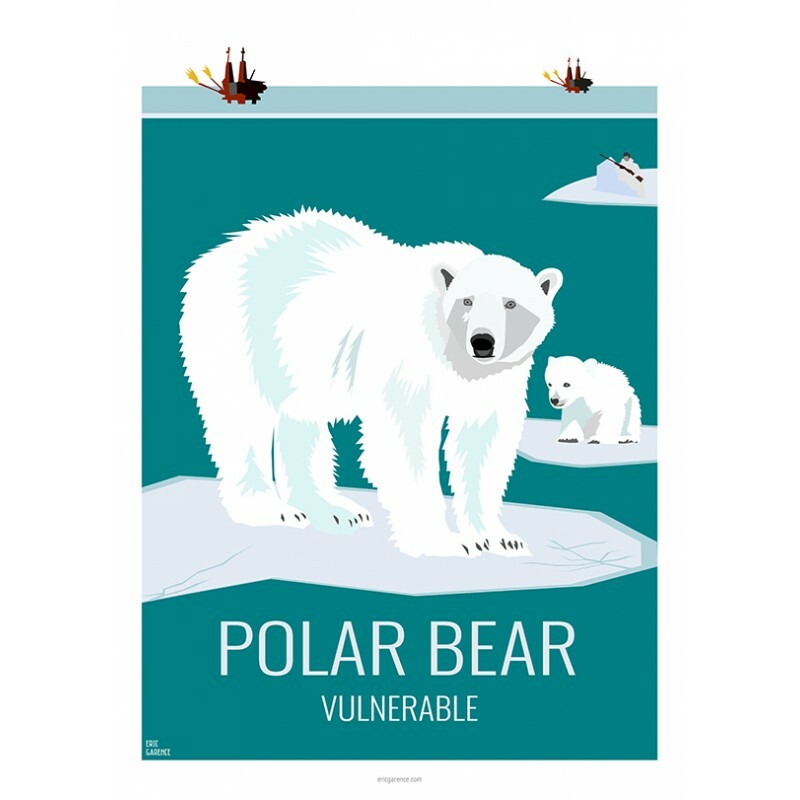 The standard bearer of the animal cause, contrary to collective thinking, the polar bear, polar bear, is not classified as a critically endangered species, and that is good. In 2006, however, he moved from the "Low Risk" category to the "Vulnerable" category. To date, there are approximately 22,000 individuals in 19 subpopulations, with a majority population of 60% in Canada and 25% in Alaska. Nevertheless, there are many threats to his fate and his future depends directly on human behavior, the authorities of the countries in which he lives and, of course, the multinationals who exploit his territory. The main threat is the melting of the Banquise ... obviously its food chain is disrupted and its habitat disappears, complicated to survive without its habitat ... But that's not all, multinationals have set up offshore oil exploitation and exploit the Shale gas on its territory, inevitably highly toxic materials spread in the sea and the atmosphere which contaminates the first links in the food chain (phyto and zooplankton). On the other side of the chain are the polar bears and the men who consume and breathe this toxicity which is transmitted from prey to predator. All this is before our eyes, a measurement campaign of NASA has even found that it is in the Arctic that the deposit of Mercury is the highest, photos of mercury emanations on the ice floe were taken ... but nothing exchange. To top it all off, the polar bear hunt is allowed, it's called "sport hunting", it sounds a lot like poaching, but no, it's called sports.